As with any large app, it might create a few questions that you need answers to. Since the answers are quick and short, we thought we´d gather the most Frequently Asked Questions On Twitter and give you answers to them. Twitter is an online social networking service available as an app and online. Users can post messages which may contain photos, videos, links restricted to 140-characters, which are called “tweets”. 2. How do I get followers? Learn about all the secrets and tips to growing your Twitter page. 3. How often should I tweet? It depends and people will tell you differently. A recommendation, however, is 3 times a day. Once thing that most people can agree on is that you shouldn´t post for the sake of posting. Tweet when you have something important to say. 4. 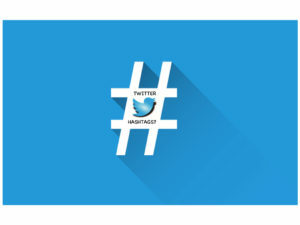 What is a hashtag? A hashtag is a way to categorize a tweet’s topic(s), which then makes it easier for people to search for other tweets about those topics. With hashtags, you can easily find people with the same interests so if you are looking for people who like hummingbirds, you can search #hummingbirds and find lots of them. 5. What is a Tweet? A tweet is simply a post on Twitter. 6. What is a direct message? Direct messages, also known as DMs lets you send private messages on Twitter. Direct messages are limited to 140 characters, just as regular tweets. The only one who can see a direct message is the sender and the recipient. 7. What is a retweet? A “retweet” is a repost of another Twitter user’s tweet on your own profile so the reposter´s followers can see it. 8. How do I find people to follow? There are several ways to find people to find on Twitter. When you log in to twitter.com, Who to follow suggestions will appear next to your Home timeline, the Notifications tab, profile and search results pages, as well as other places on Twitter. Twitter also gives you suggestions on who to follow through email. Lastly, you can also find people by their name by searching for their name. PrevPredictions of Social Media In 2017!